Videos posted online show hundreds of hockey fans enthusiastically throwing objects and finally downing what they probably believed was a LAPD spy drone outside the Staples Center following the National Hockey League’s championship match. The limitation of aerial vehicles was put on display following Friday’s Stanley Cup hockey game when Los Angeles riot police were activated to disperse raucous fans following the LA King's victory over the New York Rangers. A number of video clips posted online show a drone hovering above what the LA Times described as a “melee,” before it was brought down by people throwing shoes and clothing. It appears in the video that the aerial vehicle even suffered a knock by a skateboard before it was grabbed by people in the crowd. Comments attached to the videos purported that the drone could belong to the LAPD. The celebration that focused its energy on the home team victory quickly turned into an even wilder celebration of bringing down the alleged police drone. 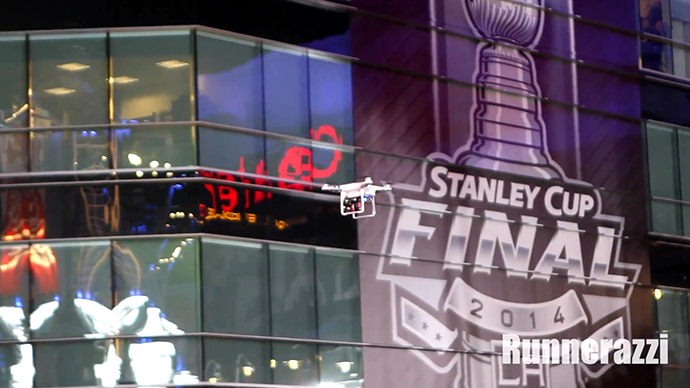 The hockey fans could be heard chanting, "We got the drone! We got the drone!" 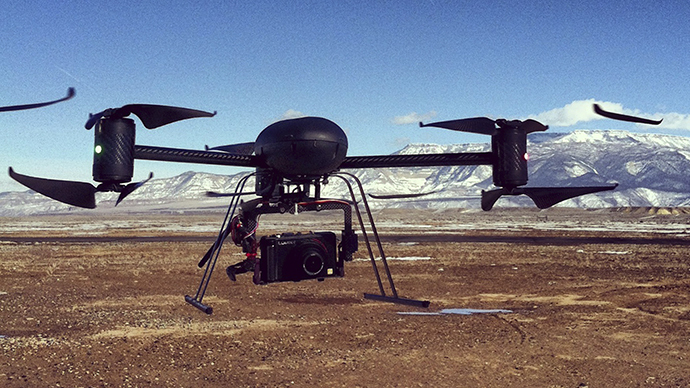 The LAPD recently brought the aerial technology on board. 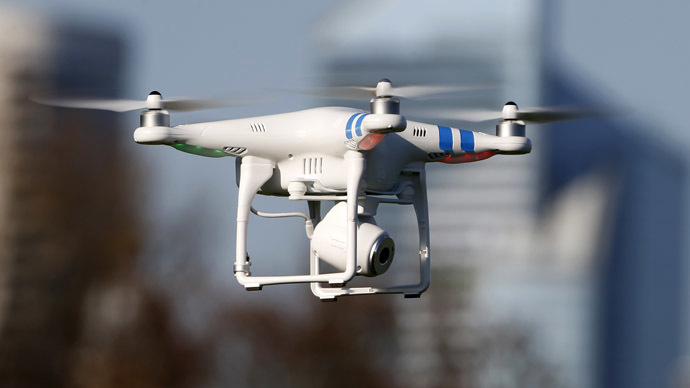 Last month, the LAPD announced it was the beneficiary of two Draganflyer X6 unmanned aerial vehicles by the Seattle Police Department, which made the decision to forfeit the technology amid heightened public opposition to the drones. “We’re interested in those applications,” he said. On June 5, in response to heightened criticism over the drones, Beck said he would seek input from privacy advocates and civil rights groups before deploying the technology in the skies over Los Angeles. However, Draganflyer X6 photographs available online suggest the drone in the video is not the same model the LAPD received from Seattle.